this is an absolutely incredible head piece. very lovely indeed! great look! I found her blog via lookbook too and she's really amazing :) and youre blog its really good too btw. She's sooo beautiful! 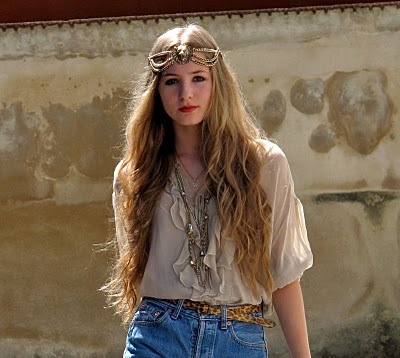 Love the fact she used her nanna's necklace as a headpiece. Pure genius.